If you are looking to make a capital investment in your business you may be eligible for a grant towards 20% of your project thanks to the new Signpost 2 Grants programme. 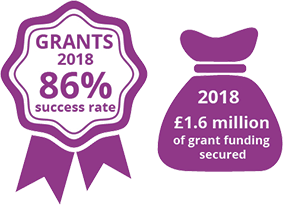 Created by the Greater Cambridge Greater Peterborough LEP, Signpost 2 Grants has been designed to support the growth of its local businesses, offering grants of between £2,000 and £20,000 to support capital investment projects. Please note: Grants can only be issued against items that have not already been purchased or ordered.